Covers Accidental Damage, Accidental Loss, Theft. 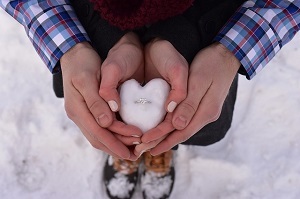 Engagement Rings can be insured as part of your home insurance, and if you are already living together that may e the simplest way to insure your ring. If valuable it can be named as as individual item, and you can obtain all risks cover that will insure the ring when its out of your home. If you are looking to cover your ring in this manner compare home insurance here. You do not have a home to insure. You don't want to run the risk that a claim on your ring insurance could impact on your homes no claim bonus so prefer separate policies. In these instances you may prefer to opt for a specialist engagement ring insurance policy. One specialist insurance is Protect Your Bubble who offer both jewellery and watch insurance. One advantage is that this policy can be taken out in by one person, naming the wearer of the ring as another. This can be ideal if there is a gap between you obtaining the ring and popping the big question! This policy covers not only theft and loss, but also accidental damage - so are ideal for delicate items. When away from home the engagement is either worn, be 'about your person' or locked in a locker or safe - so install a small safe if you are likely to need to leave the ring at home at any point - small jewellery safes can easily found on Amazon. If you need to claim you receive a jewellery gift card to the insured value of the item and at that point your insurance policy would be cancelled. As an example it would cost £3.53 a month (no excess) to insure a £950 Engagement Ring*. Items need to be worn, held or in in locked safe or locker at all times when away from permanent home. Items of jewellery must be less than five years old when you insure the item and you will need to produce the original receipt. Individual items of jewellery can be worth up to £15,000 (to a total value of £30,000 for multiple items). Mechanical breakdown of watches is not covered. General wear and tear, minor denting or scratching, damage to items caused by failure to follow operating instructions or damage resulting from cleaning, restoration or maintenance is not covered. If you do require further assistance please refer directly to the insurers mentioned, or contact us here at MoneyMaxim. *Prices quotes refer to a 25 year old living in rented accommodation in Berkshire. Premiums will differ once individual circumstances have been taken into consideration.